Top quality mid-sized top dresser saves time and money! 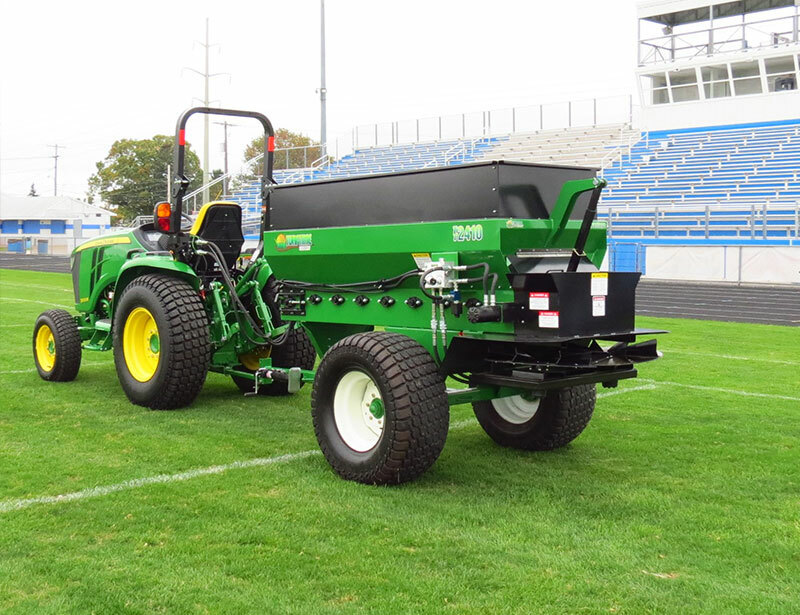 TurfTime Equipment’s TT-2400 Series mid-sized Topdressers are of superb quality,designed to save time and money on turf maintenance when applying compost, sand and soil amendments. Used on golf greens, fairways, approaches, aprons and fringes, sports complexes, ball fields, horse tracks, and sod farms or race tracks, this top quality machine spreads topdressing materials very quickly, in wet or dry conditions. Before you buy a topdresser look at TurfTime Equipment high quality versatile line of spreaders. Ask about power options and choice of controls. Save time and money with the fastest top dresser in the business.